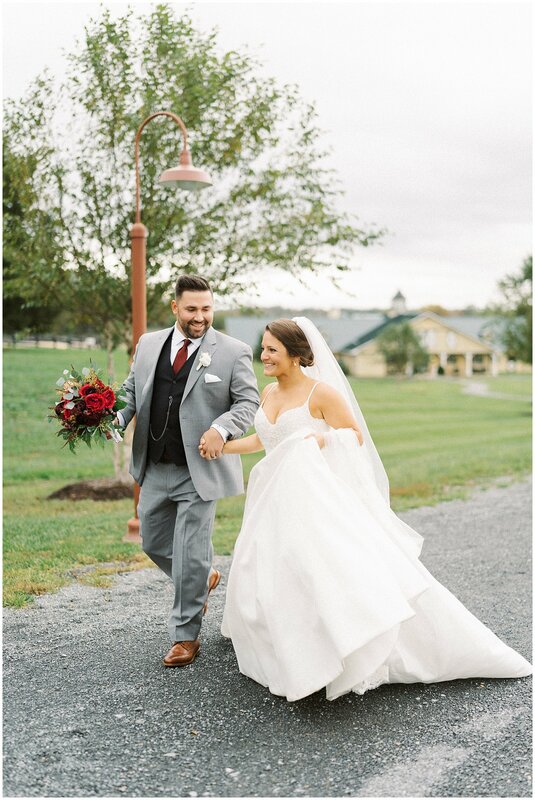 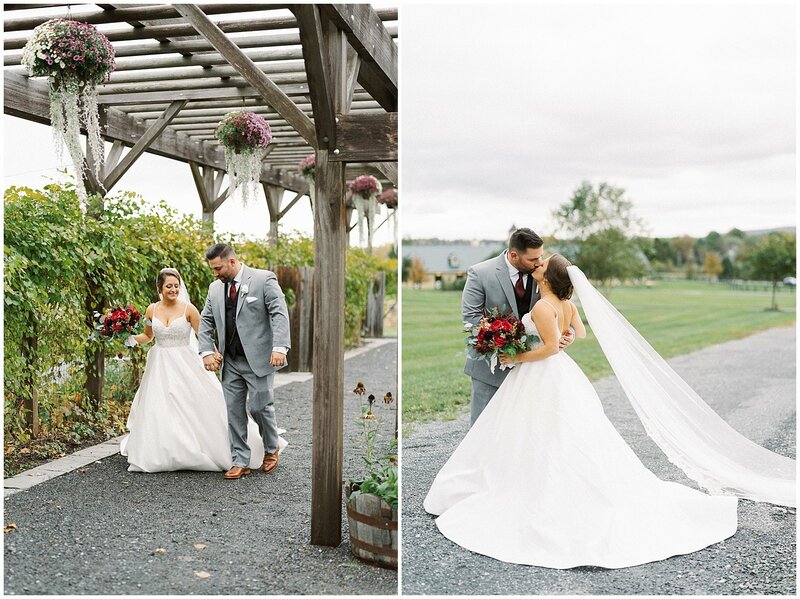 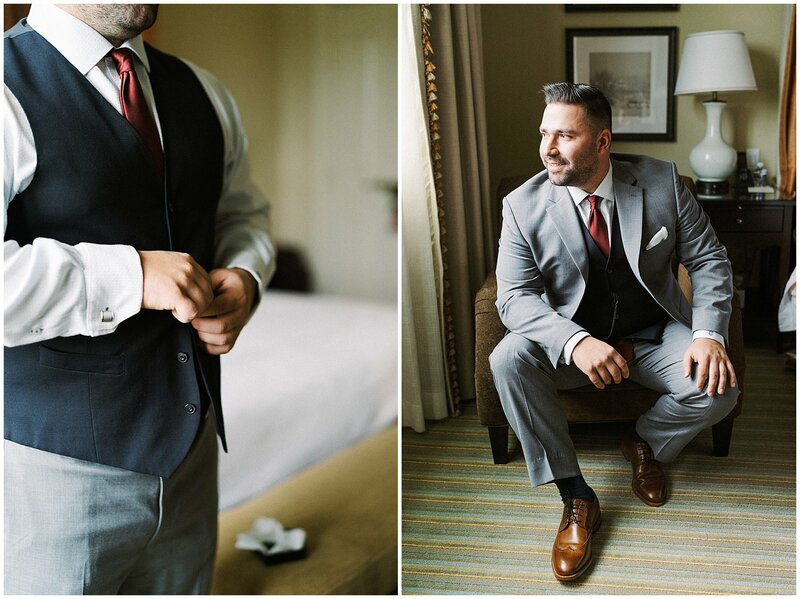 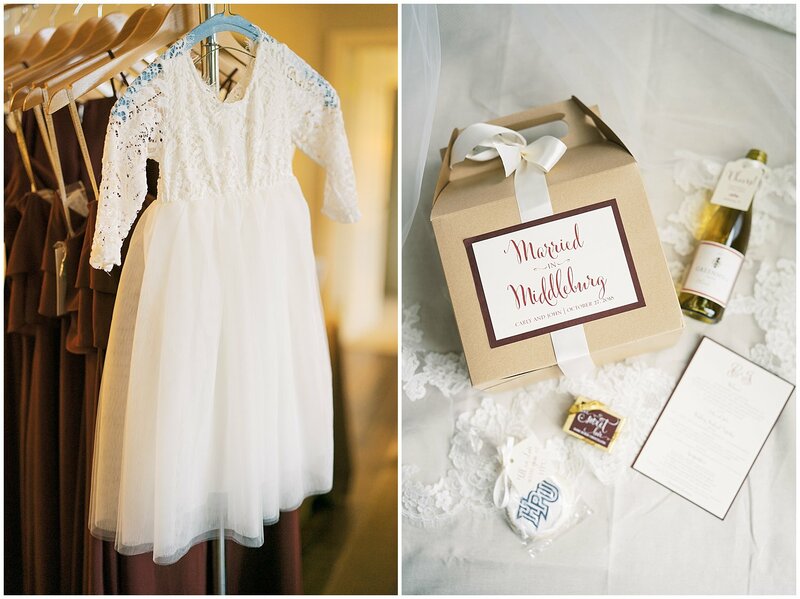 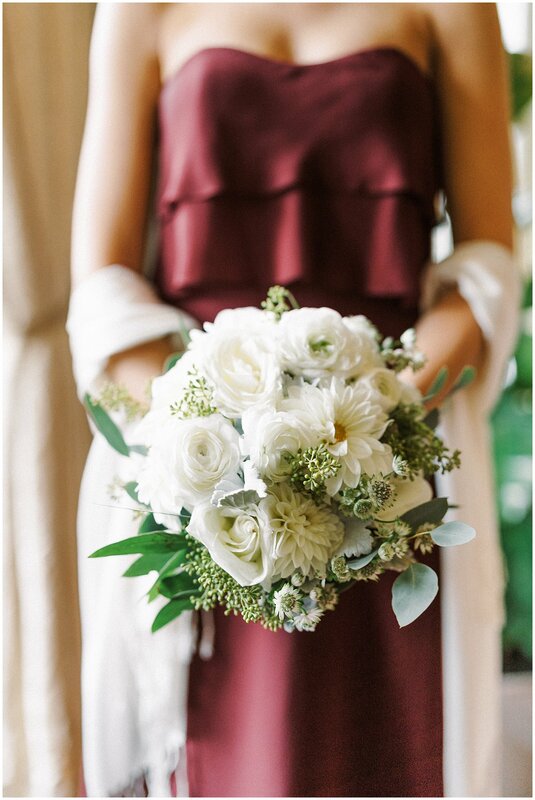 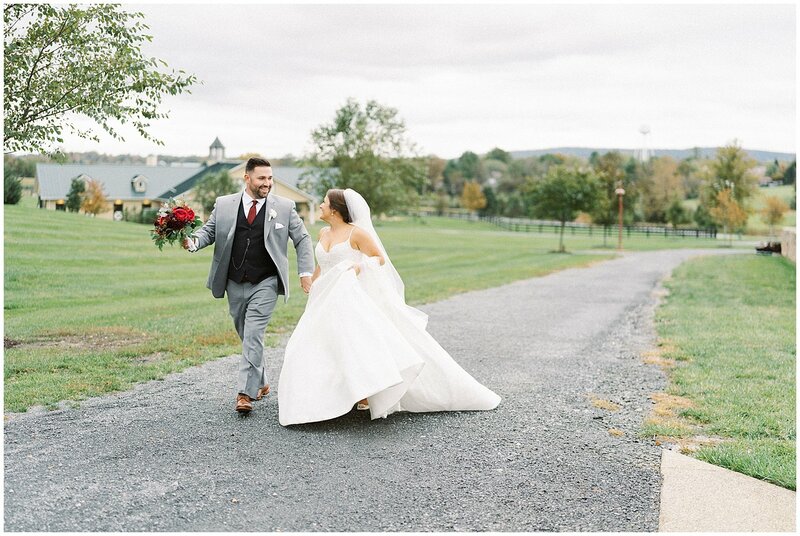 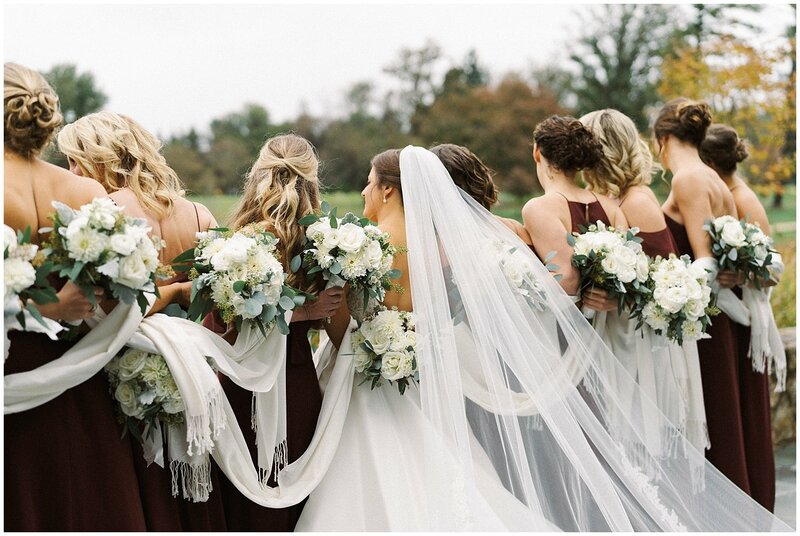 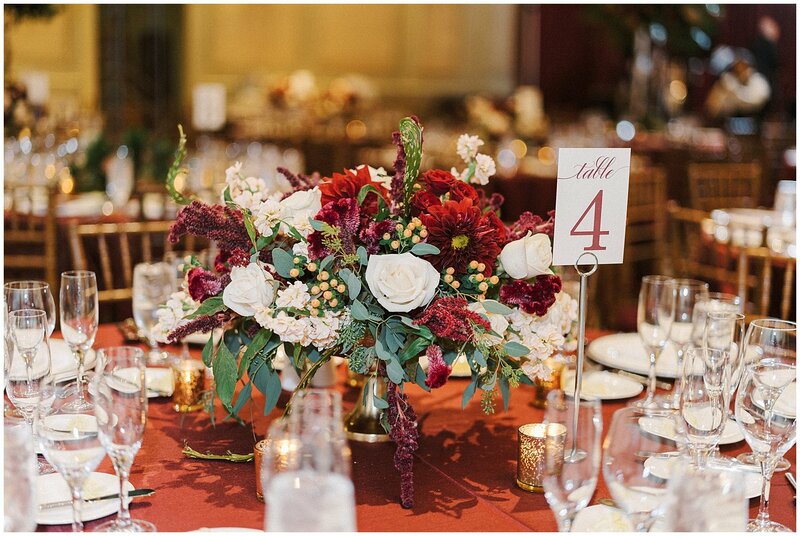 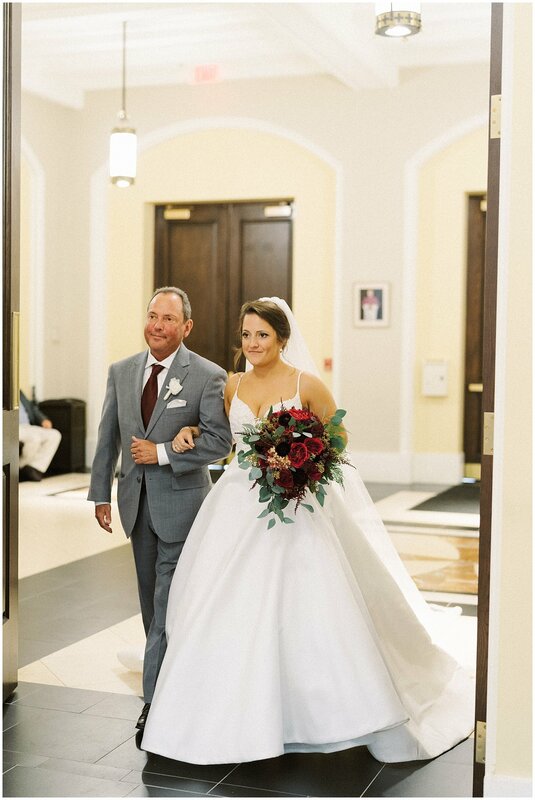 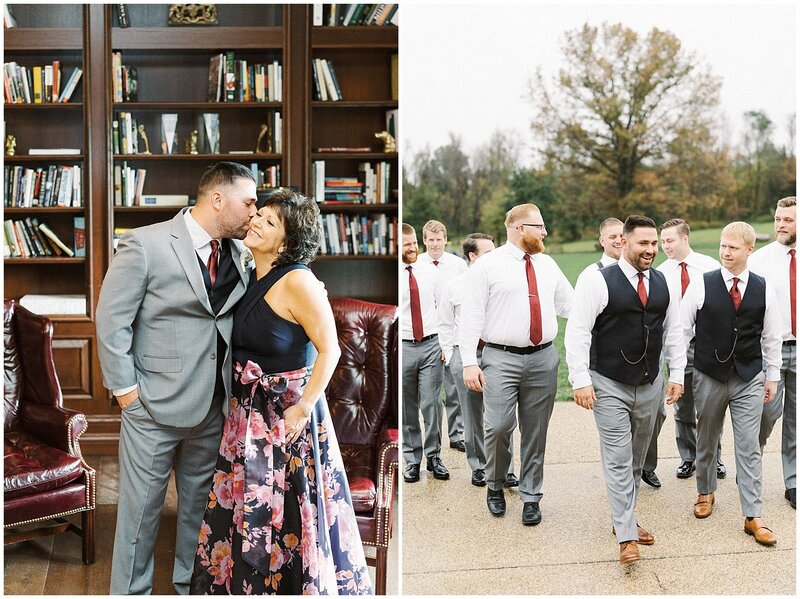 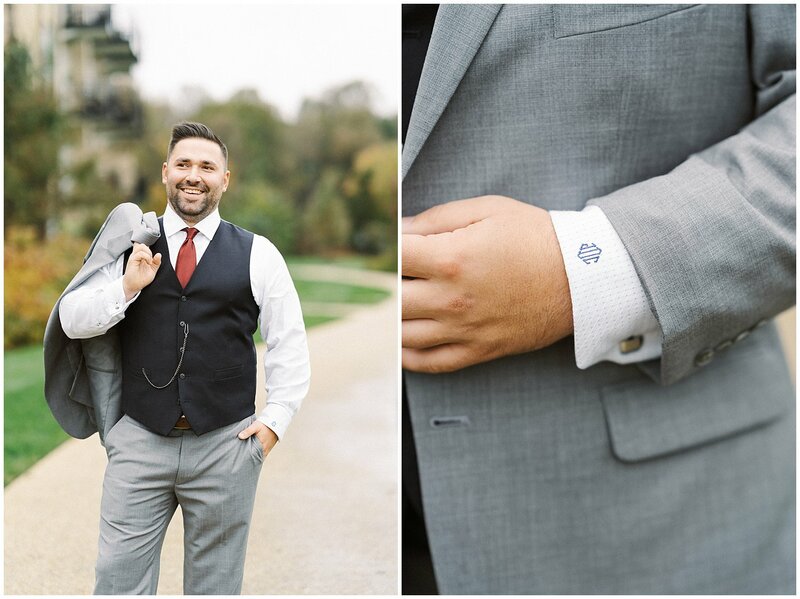 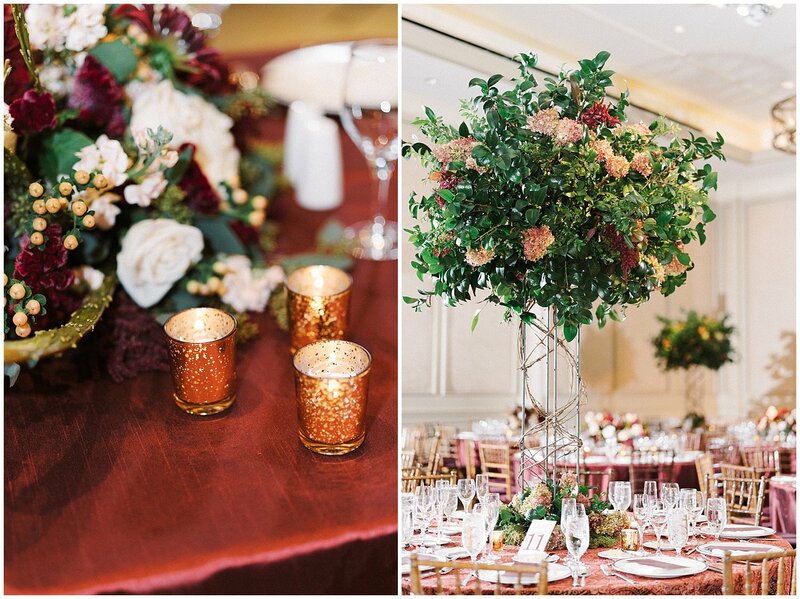 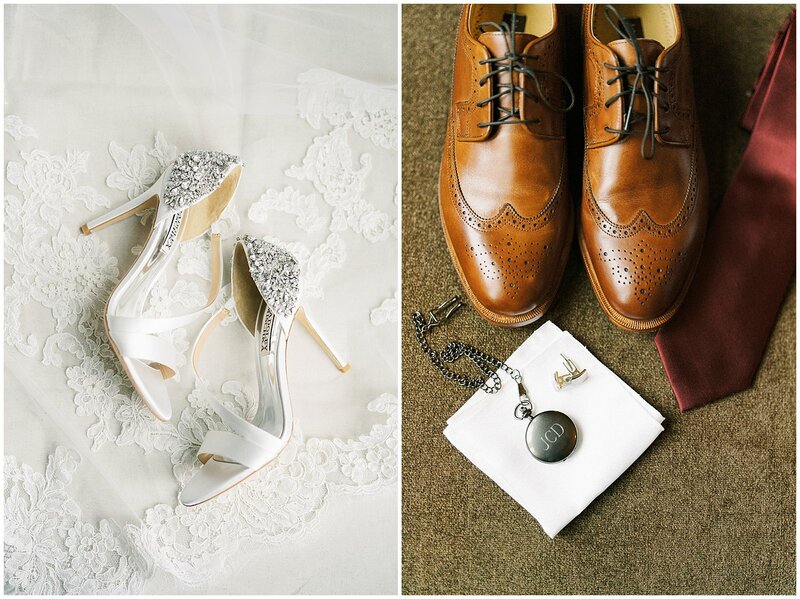 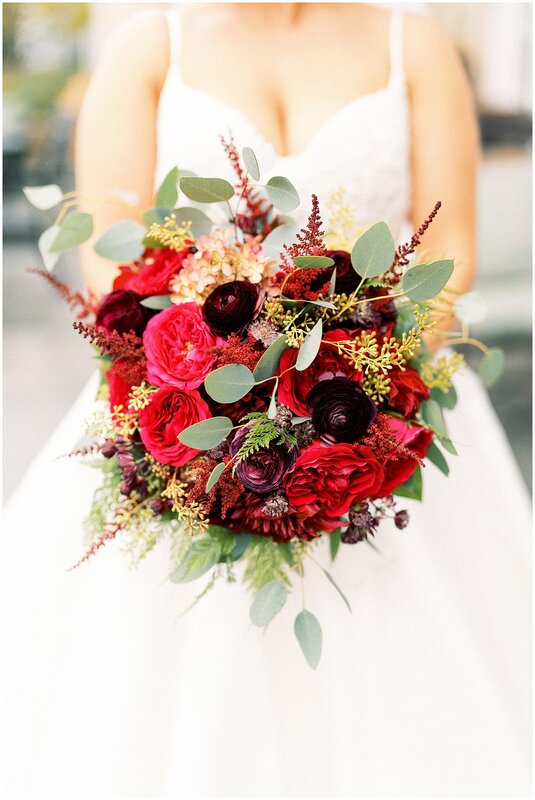 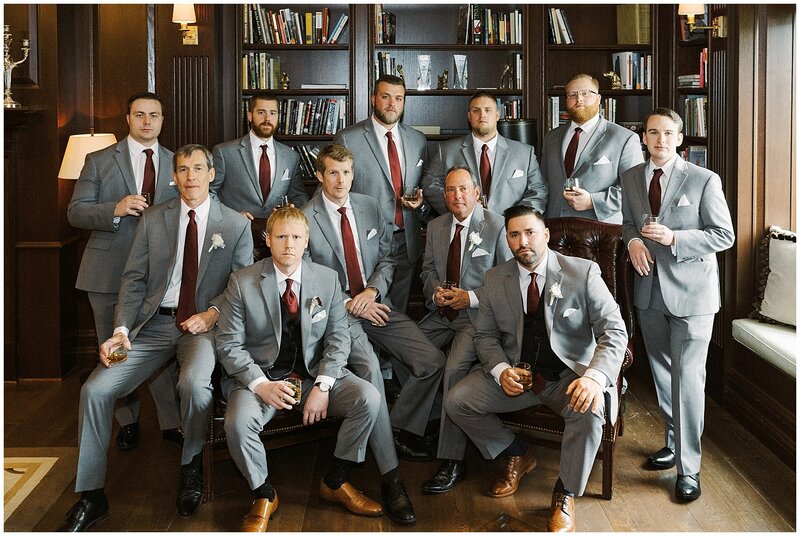 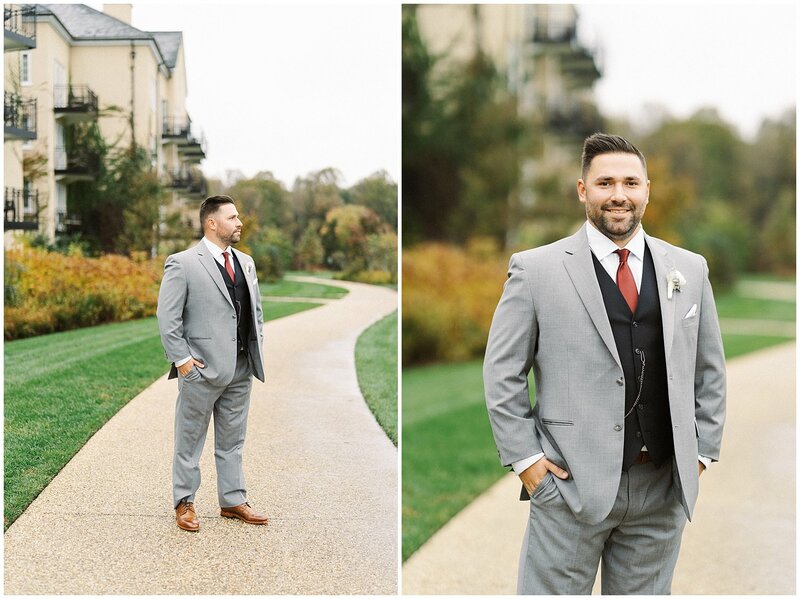 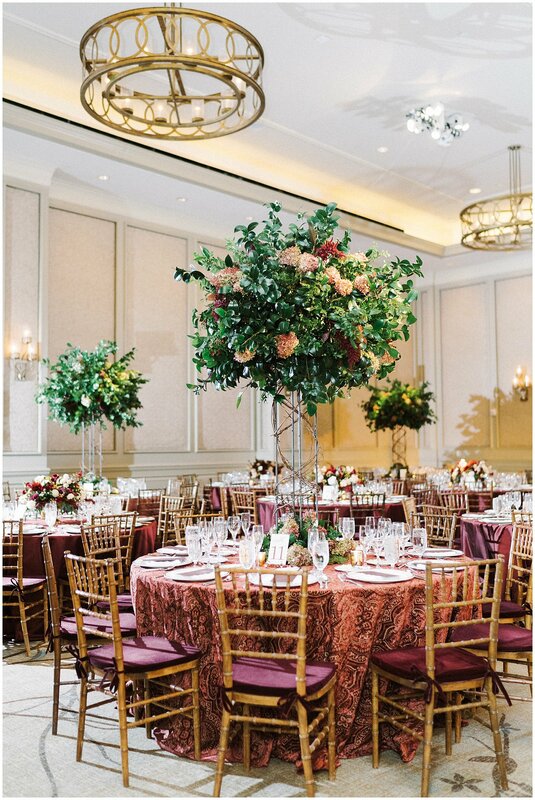 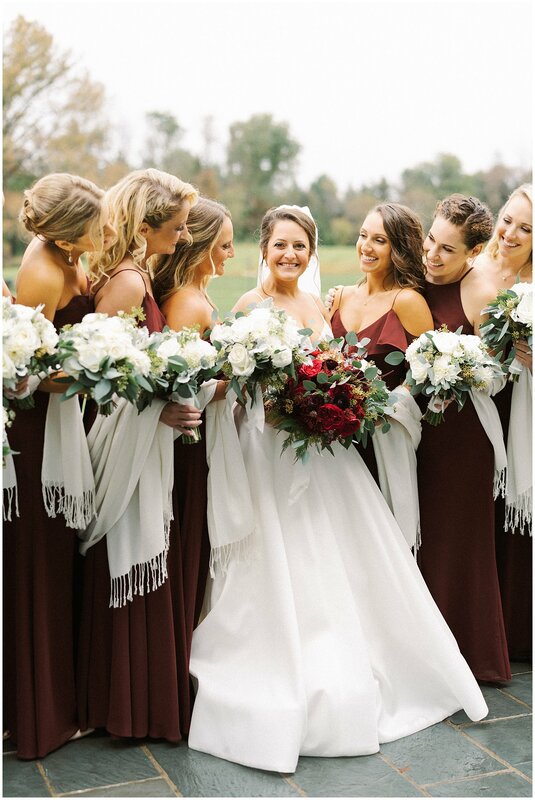 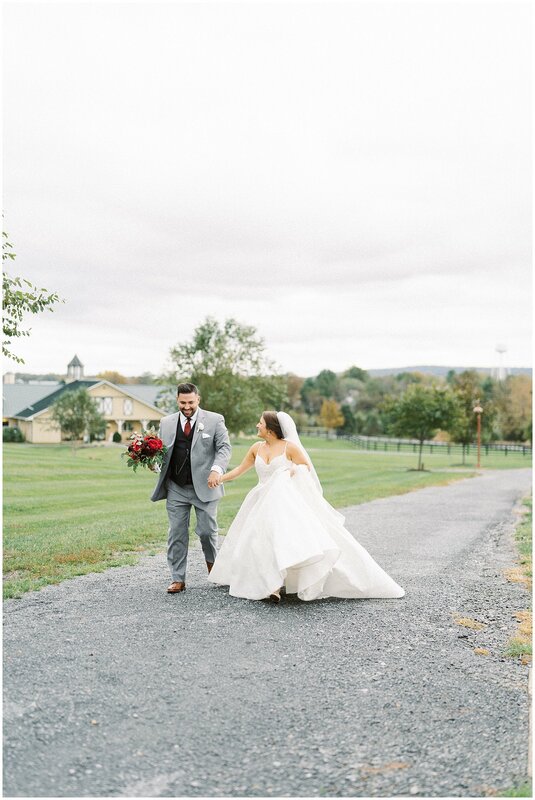 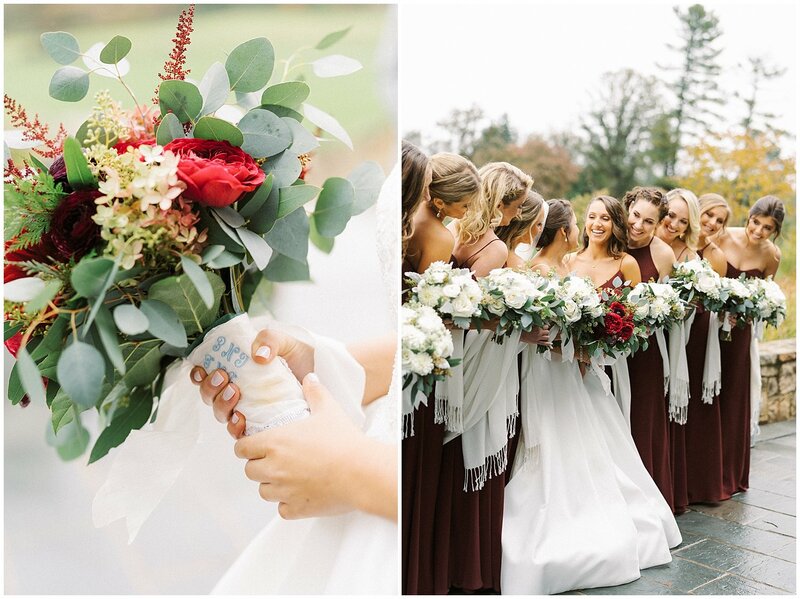 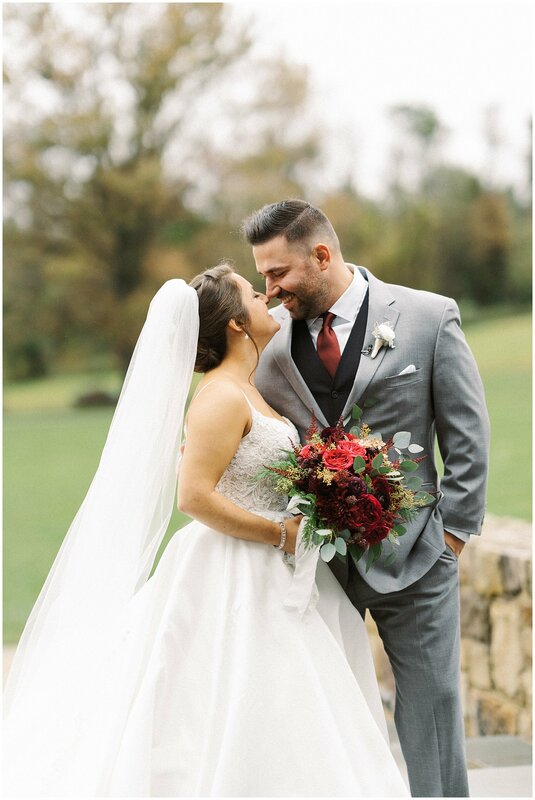 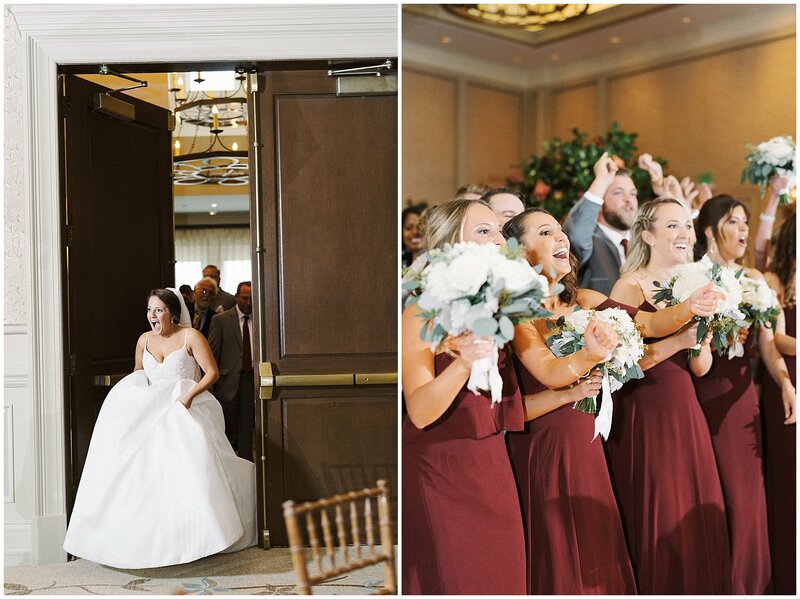 I loved the beautiful burgundy colors in this fall wedding! 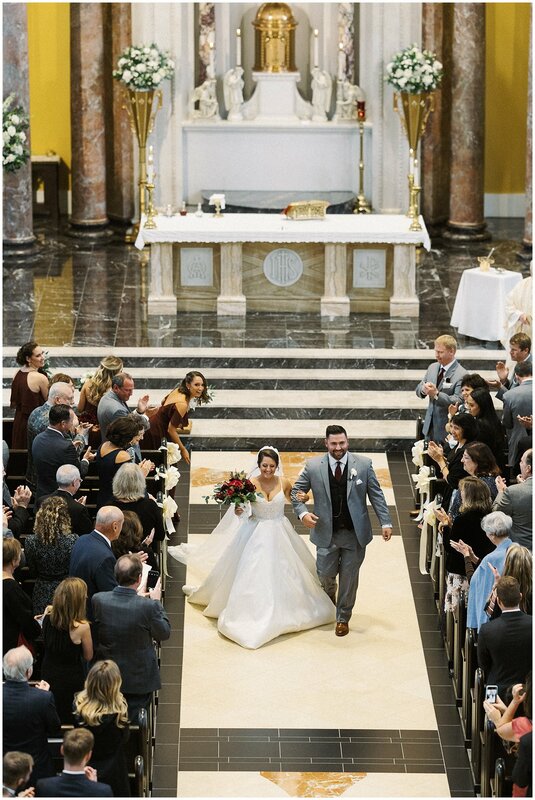 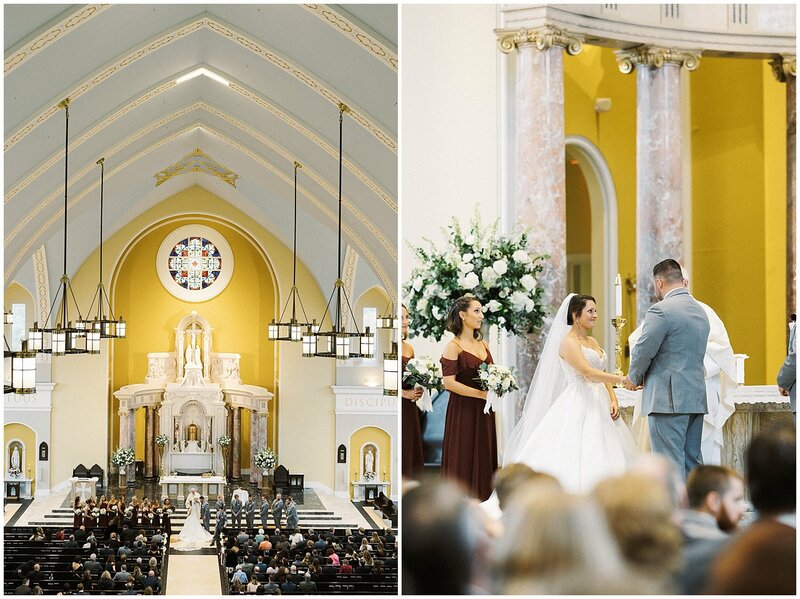 Carly and John got married at St. John the Apostle Roman Catholic Church in Leesburg, Virginia. 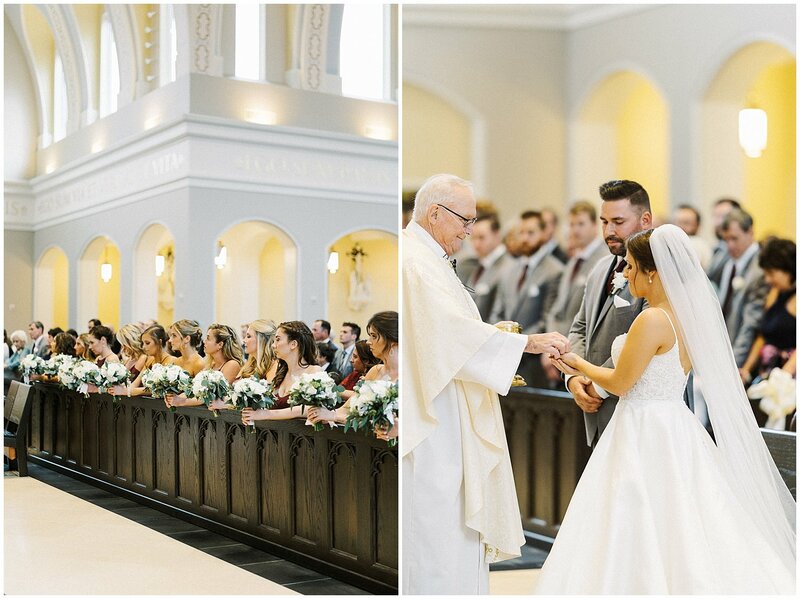 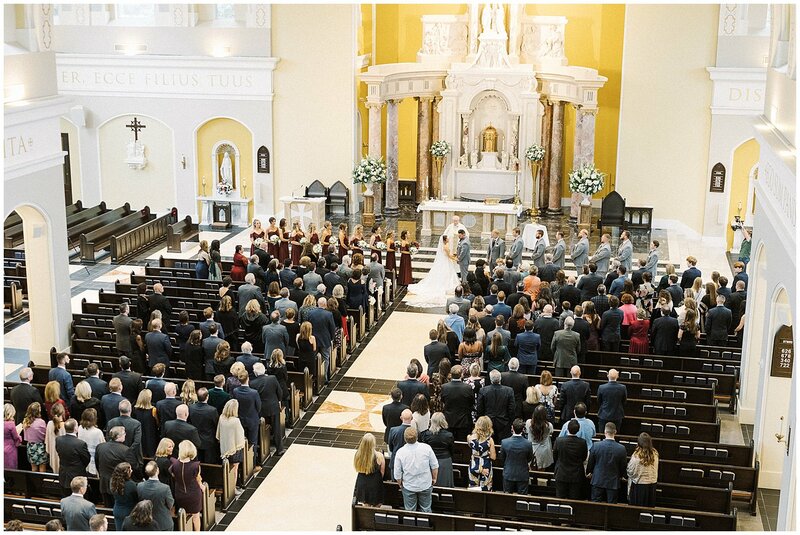 The church has stunning natural light, and the beautiful ceremony was a great way to kick off the wedding. 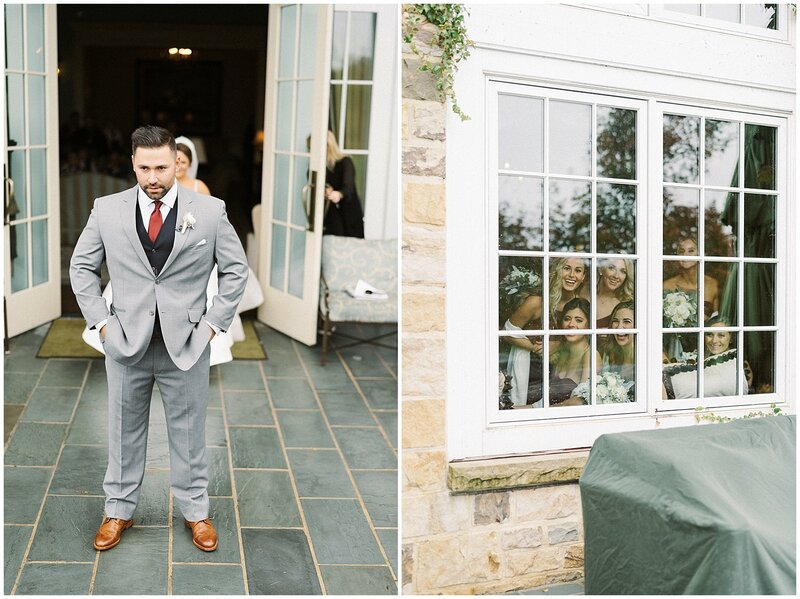 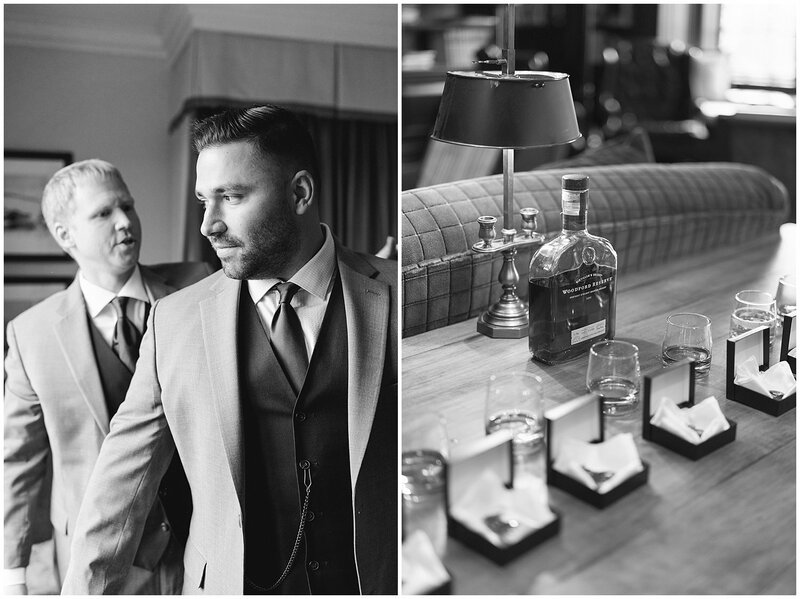 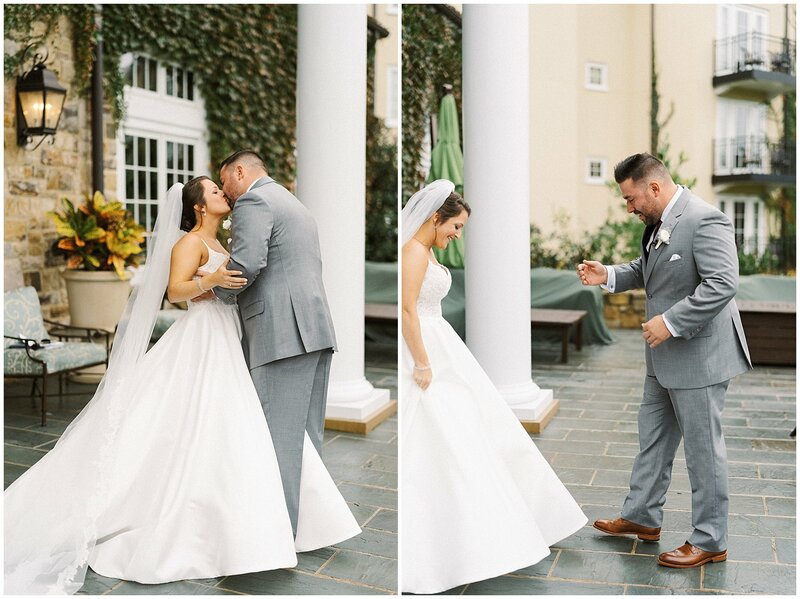 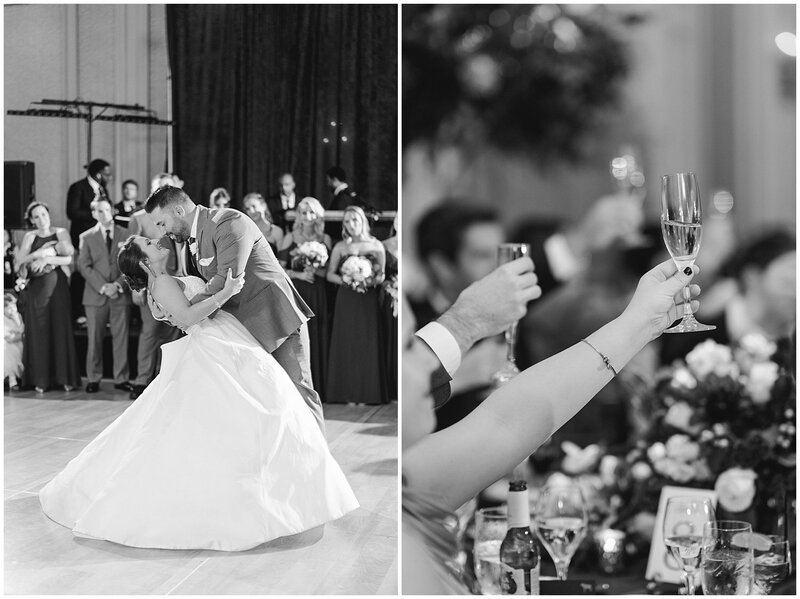 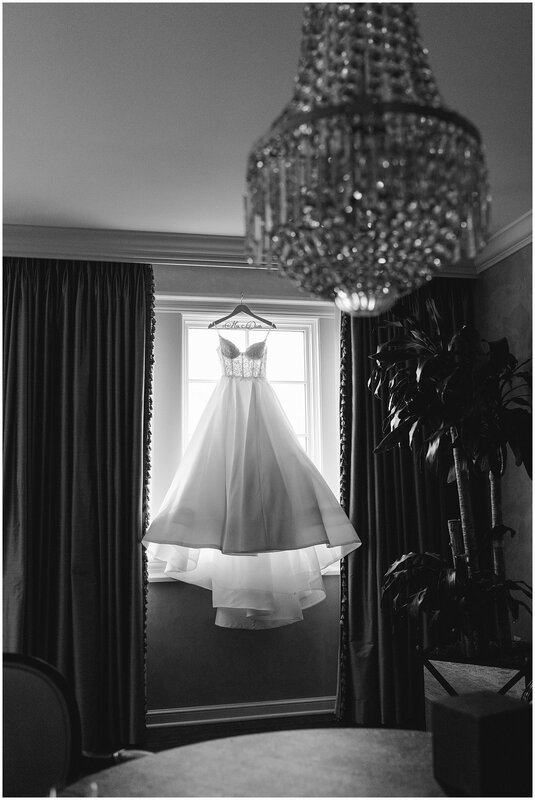 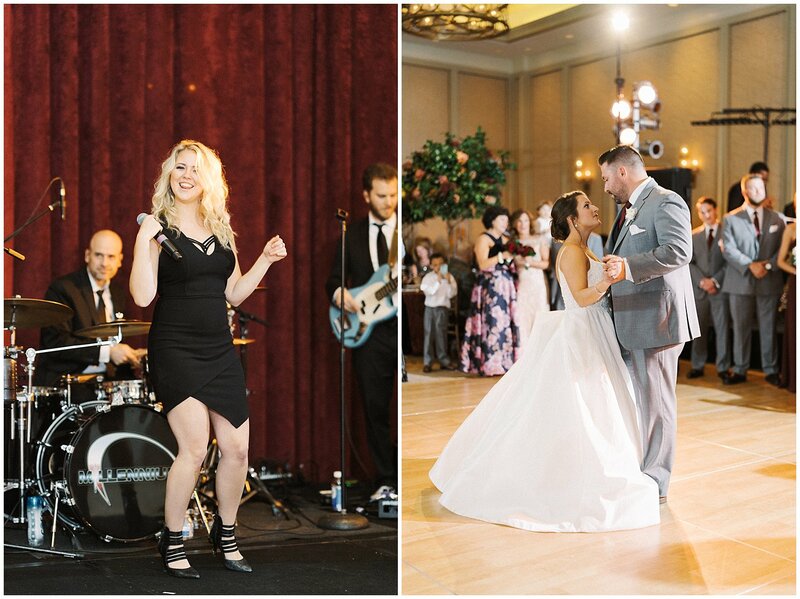 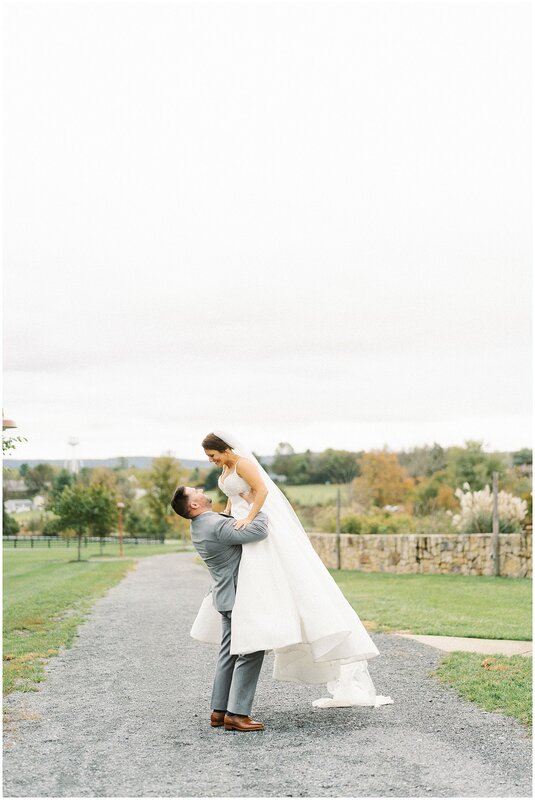 The duo continued their party at Salamander Resort and Spa in Middleburg, Virginia. 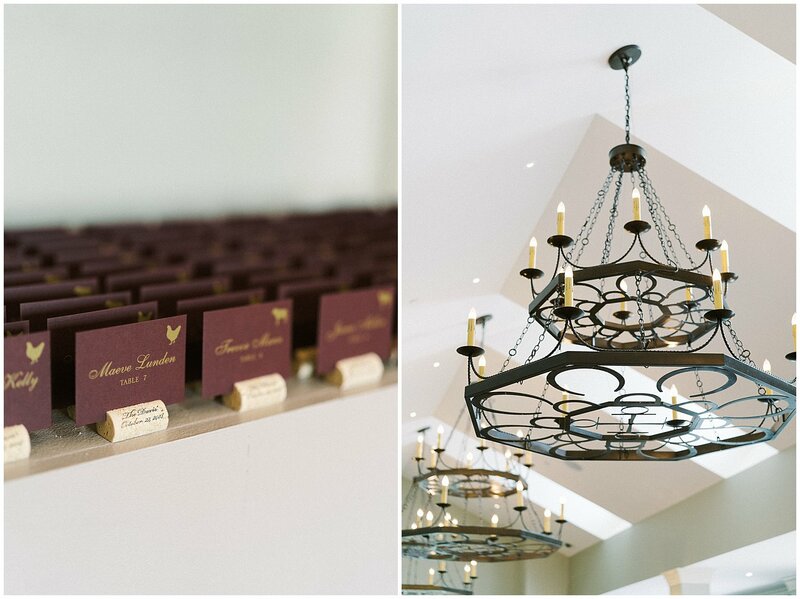 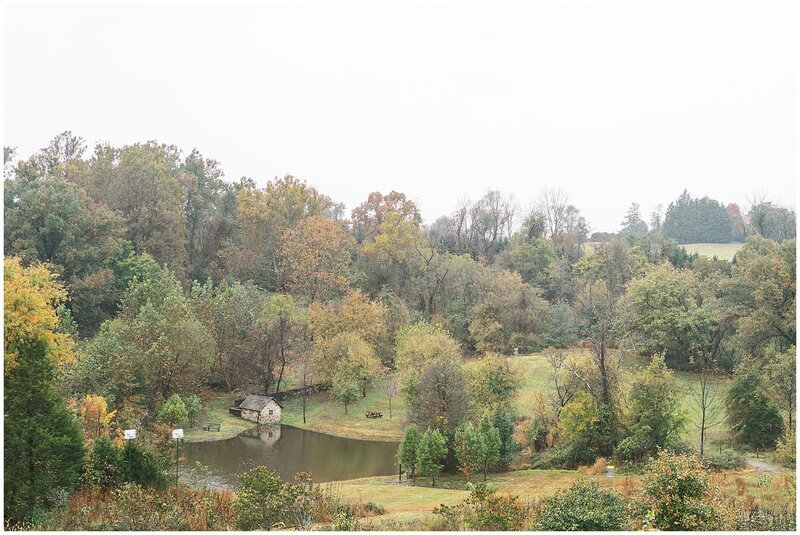 If you have not been to Salamander, it is such a wonderful location in Washington DC’s wine and horse country. 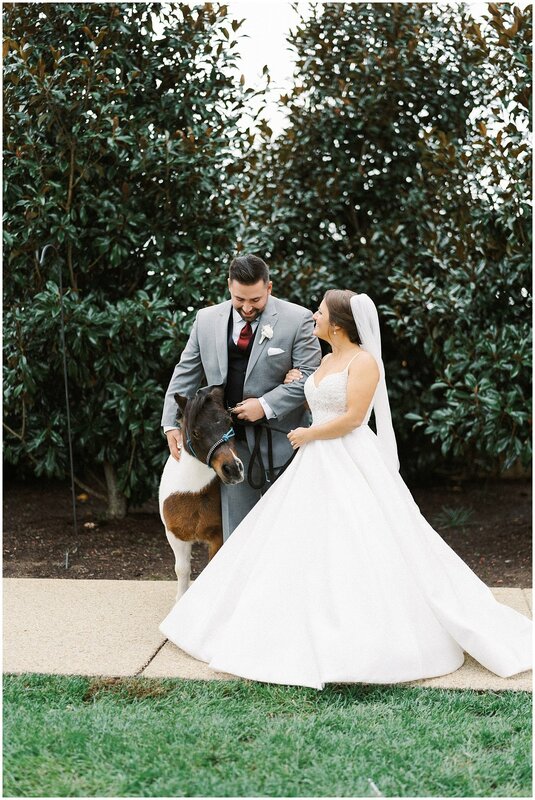 Their resident mini horse Cupcake even made an appearance during cocktail hour!